Readers, I could use your help! Like I said, I have no idea how any of this works. Take a listen, and let me know what you think! Does it sound okay on your player? In your headphones? Honestly, I did my best. I hope you enjoy it! 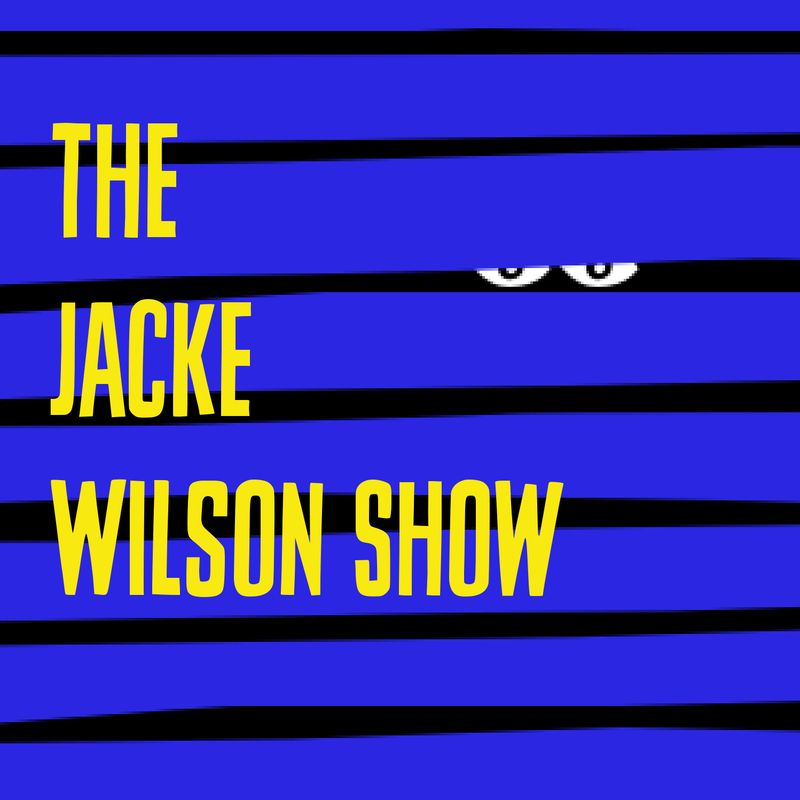 Download the mp3 file: The Jacke Wilson Show 1.1 – The Halloween Episode. It’s the JACKE WILSON SHOW! On this week’s show: lusty lizards in space, Leo Tolstoy, a lost scene from Macbeth, a new play for Bryan Cranston and Kate Winslet, Homer Simpson sings a Christmas Carol, a revised Edgar Allan Poe (with even MORE spookiness), and A History of Jacke Wilson in 100 Objects #13 – The Monster. Enjoy! JACKE WILSON is the pen name of a writer whose books have been described as being “full of intrigue and expertly rendered deadpan comedy.” Born in Wisconsin, Jacke has since lived in Chicago, Bologna, Taiwan, Ann Arbor, Seattle, Mountain View, and New York City. Jacke now lives and works in the Washington D.C. area. Like his writings, the JACKE WILSON SHOW takes an affectionate look at the absurdities in literature, art, philosophy, great books, poetry, current events, hard news, politics, whatever passes for civilization these days, and the human condition (that dying animal). For more about Jacke and his books, visit Jacke at jackewilson.com. The Fall of the House of Usher by Edgar Allan Poe, adapted by Marjorie P. Katz, read by Jacke Wilson Jr.
< Previous Update: Giveaway Over! Next > What if your family hates your pen name? A request for advice! Great to hear your voice at last! Love the leisurely rate at which you read. Love your laugh! Anyway, if there were 5 of us in a spaceship or lab, I’d be the ne getting aggressive, fighting off the others to secure my space next to you. I echo what has already been said, it’s nice to finally hear your voice. I don’t know if you’re familiar with their work but the way you sound reminds me of the brilliant Podcast that I started listening to recently called Welcome to Night Vale. However I have to disagree, I find listening to long podcasts when I’m working helps keep me focused on my task at hand, as well as keeping me entertained at the same time. Great work, when you were reading extracts, it was very relaxing. You should consider recording audiobooks. Thanks for keeping us entertained. This is such a nice comment! Thank you so much for the feedback and the warm words of encouragement. I’m glad to hear you liked it – and I’m glad it was relaxing! (We need more relaxing things in this world, and I’m glad to do my part.) Thanks again! I love your voice!! The intro with the music is fabulous. I love the music!